Business description - Shree Vasu Logistics is engaged in providing various logistic services such as acting as Carrying and Forwarding Agent, Warehousing and Inventory Management and Distribution Management though Secondary Transportation. It has positioned itself as a third party Logistics Services Provider (LSP). The company operates its business mainly through carrying and forwarding agent model in the domestic market. Its registered office is located at Raipur, Chhattisgarh. The company offers its services mainly in the domestic market specifically in the state of Chhattisgarh. 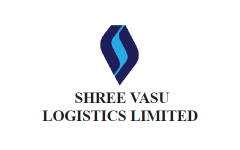 Shree Vasu Logistics IPO allotment status is now available on Bigshare Services' website. Click on this link to get allotment status.